Dental treatment of older, multimorbid patients generally requires specific gerostomatological knowledge. 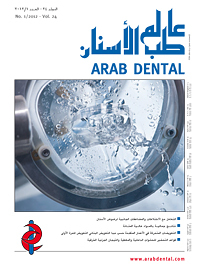 In addition to curative aspects, dental concepts for older people should also included preventive aspects. It is also important that both the immediate and future medical situations of the patient are included. The dental functional capacities as well as the subjective and relativised objective treatment requirement should be taken into account in the treatment decision-making process, which should be participation-based between the dentist, patient and relatives. The initial treatment using removable dentures at an old age can present challenges to both the dentist and patient. The concept of the incremental denture is an effective procedure for treating older, multimorbid patients and to reduce possible problems with adaptation. Steger, Enrico / Caballero, C. O. The adhesive technique and modern restoration materials enable treatment concepts to be used, which help to protect healthy tooth structure. This case report describes the complex rehabilitation of multiple tooth structure defects in a young patient using all-ceramic and composite.